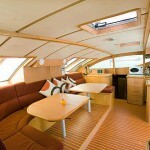 The SY Ruby was built in 2008. 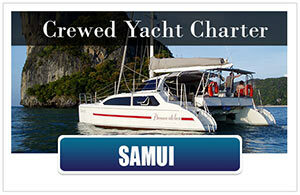 This charter yacht is a superb choice for sailing Thailand! 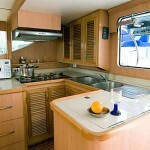 The rather unique design and concept of alloy catamarans provides light, fast and easy sailing. 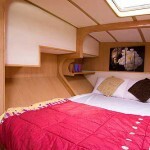 The sailing catamaran Ruby is a beautiful, luxurious yacht and will comfortably accommodate up to 8 guests. 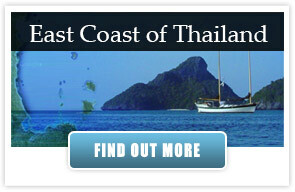 She has so far been sailing Thailand, the Andaman Islands (India), Malaysia and Myanmar (Burma). 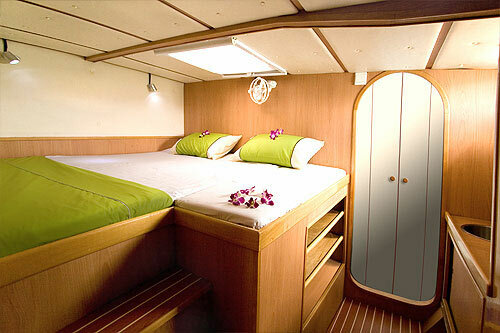 SY Ruby has been specifically designed for fast, luxurious and comfortable sailing suited to the tropical conditions of Thailand. 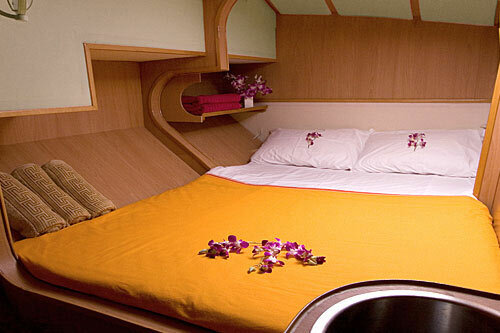 Additionally to the fully functional kitchen, luxurious saloon and comprehensive entertainment system, Ruby has two high capacity air-con units ensure that the entire cabin is kept cool and comfortable even at warmest times of the year. 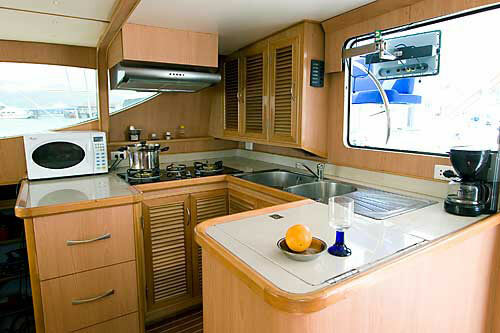 She as well comes with two large front windows opening up to allow airflow from the saloon into the cockpit, perfect for enjoying the sea breeze on a temperate night. 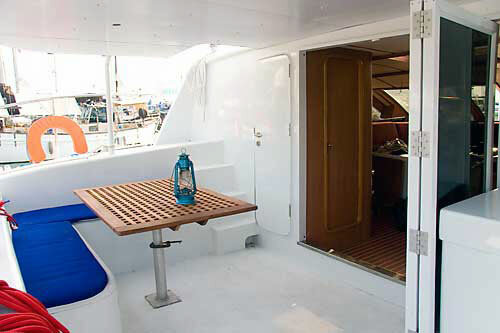 Additionally all cabins come equipped with two electric fans beside opening hatches, ensuring the up most comfortableness of her guests. 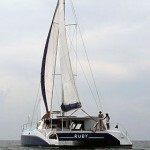 Ruby is fitted with all equipment essential for a dive and sail live aboard sailing yacht including a silent built in dive compressor and all other necessities to ensure her guests of an easy going, hassle free vacation diving and sailing some of Thailand and the worlds finest diving and sailing locations. 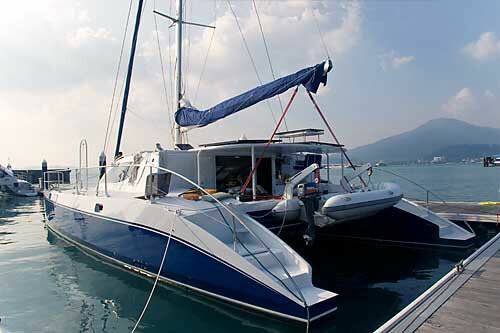 It won’t be possible to find a better vessel for your live aboard diving & sailing vacation in Thailand than the sailing catamaran Ruby. 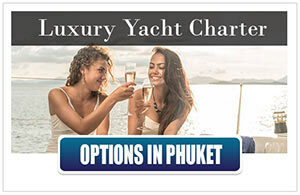 She will sail you through some of the worlds finest sailing grounds to some of the worlds finest diving destinations whilst your experienced divemaster will be happy to show you all the underwater wonders of the Andaman sea. With a state of the art 210 L/H dive compressor quickly filling tanks within 8 minutes, easy entry and exit sea level dive steps, plenty of room to gear up and stow gear, Ruby makes for an enjoyable, no hassles diving experience. 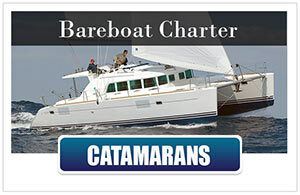 Equipped with 6 complete sets of dive equipment including Fins, Mask, Regulator, BCD and wet-suit as well as 10 tanks. 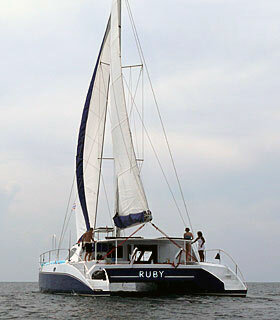 Diving is limited to 3 dives per day per person due to Ruby being a dive and sail catamaran rather than a specialized dive boat. 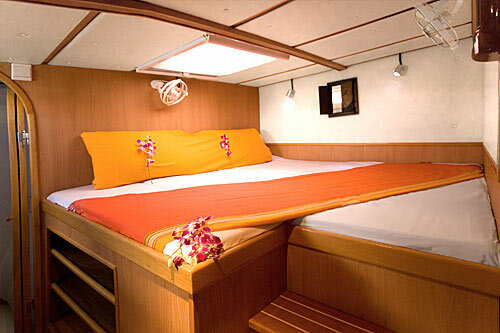 While sailing in Thailand, our guests may also partake in a PADI open water course available on th SY Ruby given by our certified PADI Dive Instructor. 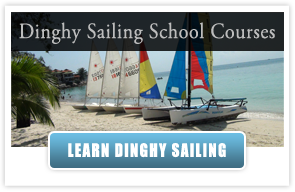 Generally the course is completed over 4 days including theory, confined session at a suitable beach, four open water dives and exam, the course on Ruby can be stretched out over a few additional days to suit the sailing schedule. 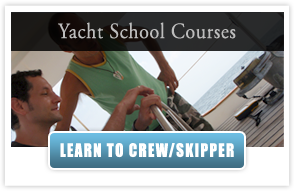 Completing this course on board SY Ruby will give you a truly unique and personalized introduction to the underwater world. 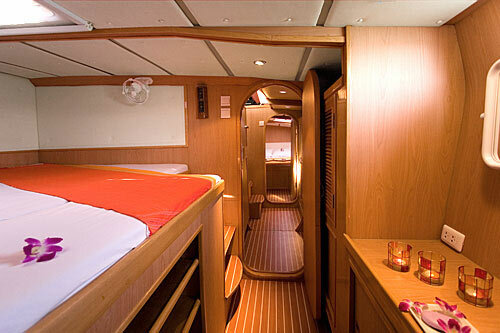 You are given the luxury of participating in this coarse either as a solo student or with a small, intimate group at real unique dive sites rather than having your introduction to diving in a pool and classroom with 20 other students. 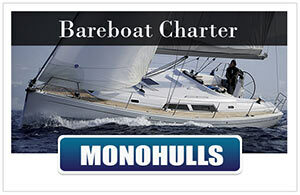 More advanced courses are available on request, please contact us here for further information. 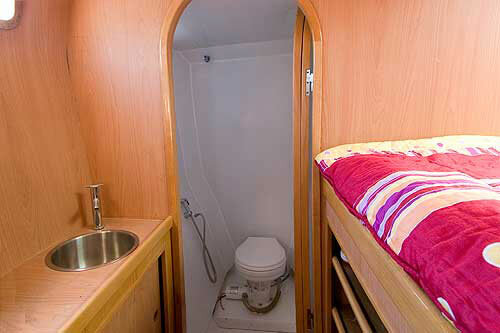 Ruby’s beautifully finished interior consists of three en-suite double cabins with private bathroom and shower as well as one double cabin with easy access to a shared bathroom and shower. 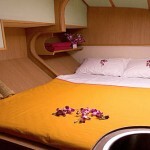 All cabins have electric fans and an opening hatch to ensure maximum ventilation and comfortableness for a good nights sleep. 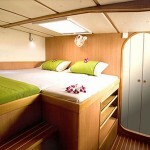 With plenty of room for all personal belongings, these stylish cabins have been designed with an artistic eye for perfection and detail to provide you with the highest quality of luxury living on board SY Ruby. 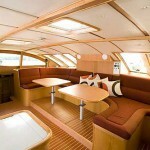 For all your dining, entertainment and relaxing requirements the spacious saloon on board will comfortably seat 10 people around its 2 timber varnished saloon tables, opposite is the galley which will have your mouth watering with the aromatic fusion of thai herbs and spices as you await to be served the best thai cuisine has to offer. 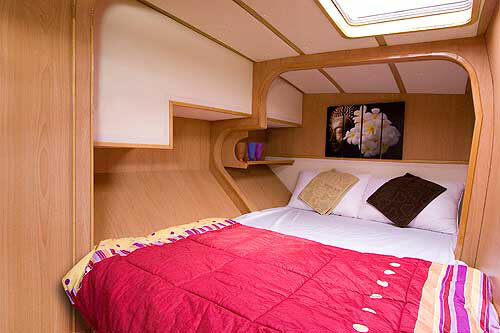 Upstairs in the cockpit, the large comfortable Ferrari nettings, Sunbrella seat cushions, and large Teak wooden table (which converts into a queen size bed for those who wish to sleep under the stars) reflects the high standard of luxurious living found below on SY Ruby. 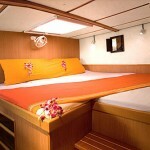 There is room on deck to cater for everyone’s needs. 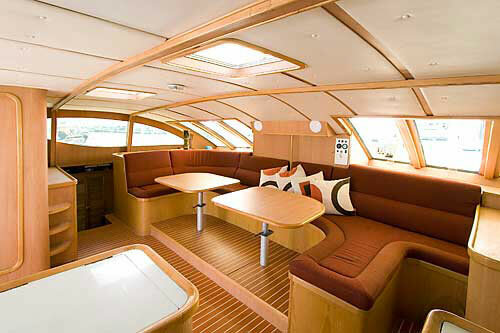 A large flexible awning providing necessary shading when the sun becomes too much whilst the coach roof will provide for adequate sun bathing. 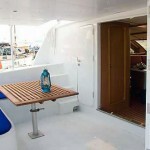 Easy access to the sea is found at the rear of the boat with a sea level swim platform and a retractable swim ladder. 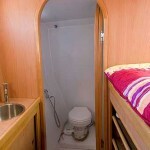 A washroom and large fridge providing cool drinks all day long can as well be accessed from the cockpit for all needs of refreshing as well as refreshments. 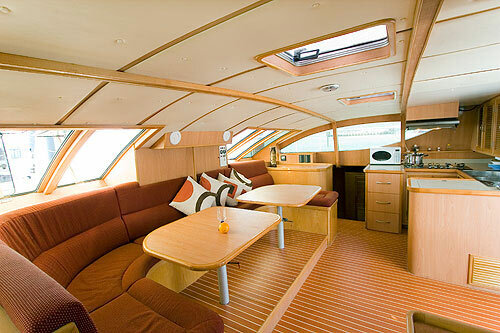 Special A pretty new spacious and beautifully finished yacht. 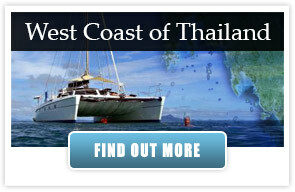 A built-in dive compressor makes her exceptionally suited for dive trips in Thailand and Burma. 1. May. - 31. Oct.
1. Nov. - 19. Dec.
20. Dec. - 15. 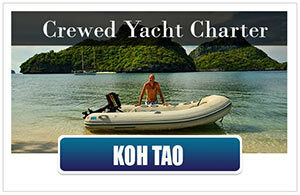 Jan.
Scuba diving € 35,- per dive per person including tanks, weights, dive master and on-board dive compressor. 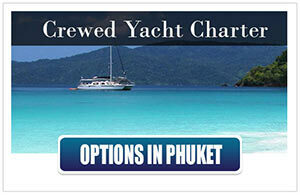 Follow this link to see more Charter Boats: Charter Yachts in Phuket – Thailand. 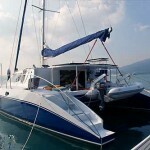 If you would like more information about the sailing catamaran – SY Ruby or maybe you have any other question about Sailing Thailand in general, please contact us here. thanks for such an amazing trip! For all the fun, laughs, adventures, surprises and for bringing me back to diving. 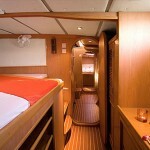 I have to admit that I feel sad for having to say good bye, this boat feels like a home away from home. I really look forward to see you again some day, in the meantime I will take you along in my heart and mind. Thank you for a fantastic holiday, where you guys actually managed to make me forget about the corporate world and emails. Everything about the trip has been perfect except for a little bit of throwing up on the 2nd day, but one thing for sure it certainly wasn’t due to Wendy’s food. Not even Hilton could have come close when it comes to her cooking. And let’s not forget about Art, the “Dive Guru”, one hell of a diver. Thanks once again, it was great.